One of the most academically ambitious shows in PST—and certainly the most opulent—is Golden Kingdoms: Luxury and Legacy in the Ancient Americas at the Getty Center (until 28 January 2018). It includes more than 300 artefacts from Incan, Aztec, Mayan and other civilizations made between 1000 BC and the 16th century, which altogether come from more than 50 international collections. The show emphasises the varying value systems of ancient American cultures. In the Pre-Hispanic period, gold was mostly used for symbolic regalia, rather than for tools, weapons or currency. Even then, many civilisations did not as revere gold as highly as they did jade, turquoise, or even shells and stones, some of which were believed to carry godly powers that could be conferred upon the wearer. Birds' feathers were especially important, even after Spanish arrival. One of the most remarkable items in the show is in the final gallery. Made around 1539, it depicts the Mass of Saint Gregory, a Christian theme. The panel's depiction of the Eucharist follows the conventions of a Renaissance painting, except that it is made almost entirely of feathers, including those from a hummingbird. 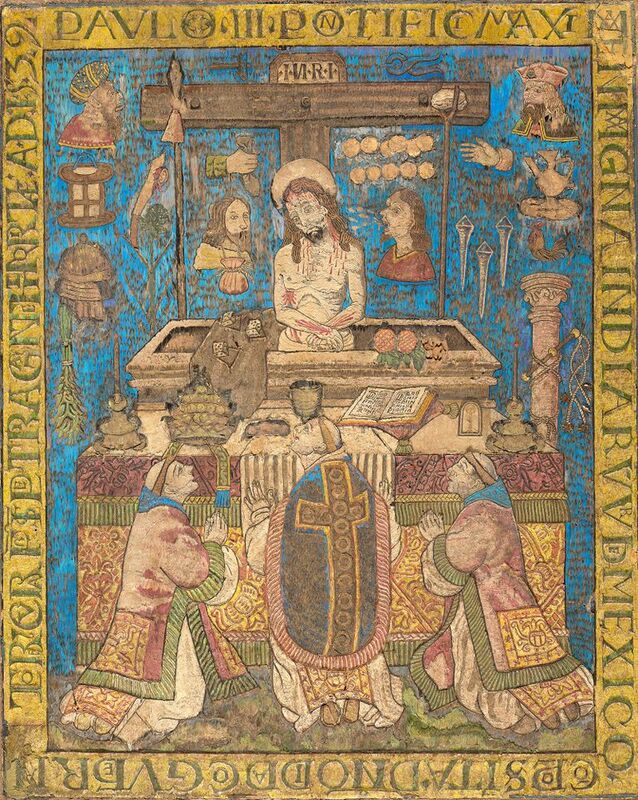 The work was made for Pope Paul III (his name in inscribed at the top), who had recently issued a papal bull declaring certain rights for the people of Latin America, says Kim Richter, a senior researcher at the Getty Research Institute. 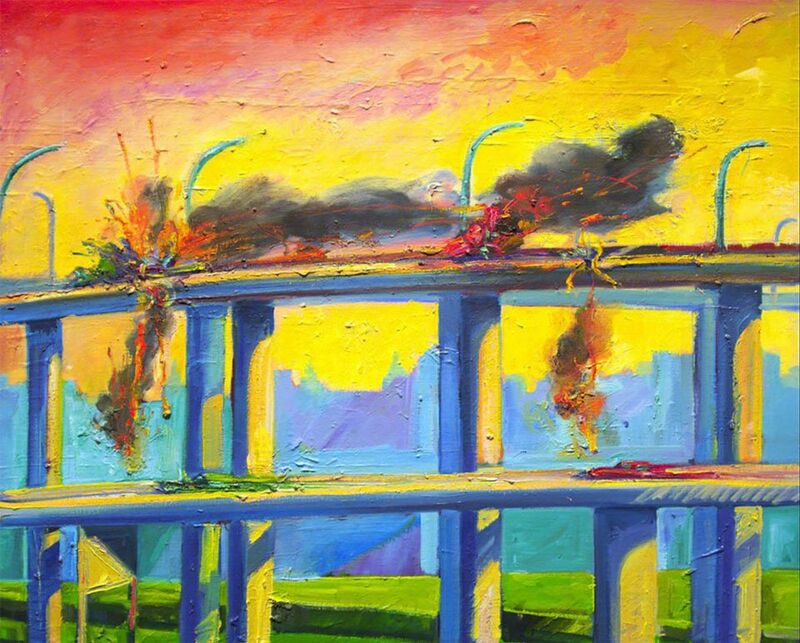 One of the major themes of Playing with Fire: Paintings by Carlos Almaraz at the Los Angeles County Museum of Art (until 3 December) is the artist's love of the city of Los Angeles. The first two galleries in the show (which altogether includes around 65 works) emphasise his dreamy perception of the city, which he often painted as an exuberant, pulsating metropolis through his wild, expressive brushwork. The biggest picture in the show—and considered by many to be his magnum opus, says the show's curator, Howard Fox—is a 24 foot-wide, four-panel depiction of the Echo Park area of the city. At the time the work was made in 1982, the park was a rough place, Fox says. But Almaraz painted it as bright and cheery, with each panel showing the park at a different time of day as a kind of homage to Monet. The complete cycle did not find a buyer when it was first shown and Alamaraz reluctantly sold the panels to separate buyers. This is the first time they are together since 1987. Alamaraz used certain motifs repeatedly in his work. Jaguars, people with umbrellas and bizarre demons with horns appear again and again and constitute his personal iconography, some of which Fox admits is inexplicable. But the best paintings in the show speak to the artist's straightforward fascination with death. One group of pictures shows cars exploding, crashing and plummeting off cliffs. These haunting paintings cut against his love of urban life and seem to say that behind the joys of life, some violence is always lurking. The life story of the Outsider artist Martin Ramirez is a tragic one. Born in Mexico in 1895, he emigrated to the US in 1925 to find work. Six years later, after the Wall Street Crash of 1929 left him without a job, he was institutionalised in a psychiatric hospital and diagnosed as a schizophrenic, even though he spoke no English and was unable to communicate with doctors. For more than 30 years, until his death in 1963, he was kept in US hospitals, where he began to made drawings and collage on makeshift paper. All told, he made around 300 works. 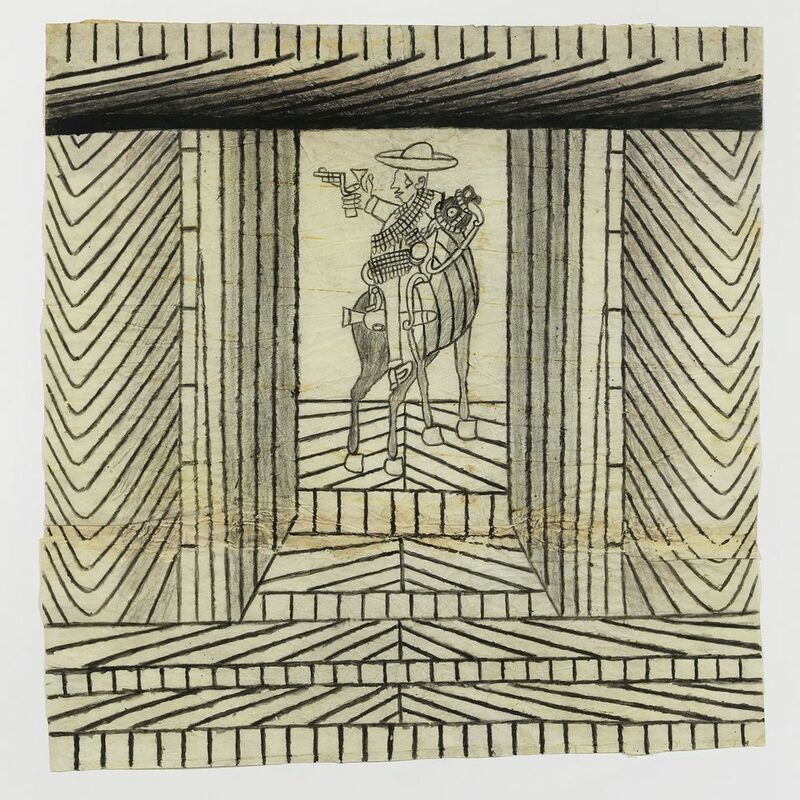 The 50 drawings and collages in Martín Ramírez: His Life in Pictures, Another Interpretation at the Institute of Contemporary Art in Los Angeles (until 31 December)—the museum's inaugural show—trace the many themes and motifs he developed in his work, among them horses and riders and tunnels and trains. The rescue of Ramirez's work from the wards in which he was kept is largely due to Tarmo Pasto, a professor of psychology and art enthusiast who recognised Ramirez's talent. After smuggling the works out of hospitals, he arranged for the art dealer Phyllis Kind to buy them. Around two-thirds of the works in the show come from the collection of the artists Jim Nutt and Gladys Nilsson, including a 17-foot scroll that has never before been publicly displayed. The work depicts a characteristic Ramirez dreamland that the museum's director, Elsa Longhauser, who organised the show, calls "a concrete compendium of all the forms he used. In this work, you see what a brilliant collage artist he was." A retrospective at the Museum of Contemporary Art of Anna Maria Maiolino (until 22 January 2018) looks at how the Italian-born, Brazilian artist tapped into the absurdity of daily life to make a remarkable oeuvre that resonates beyond its local point of origin. In the 1960s and 1970s, she was especially interested in the everyday trials of motherhood and domesticity, which she crystallised in works like A Espera (1967/2000). 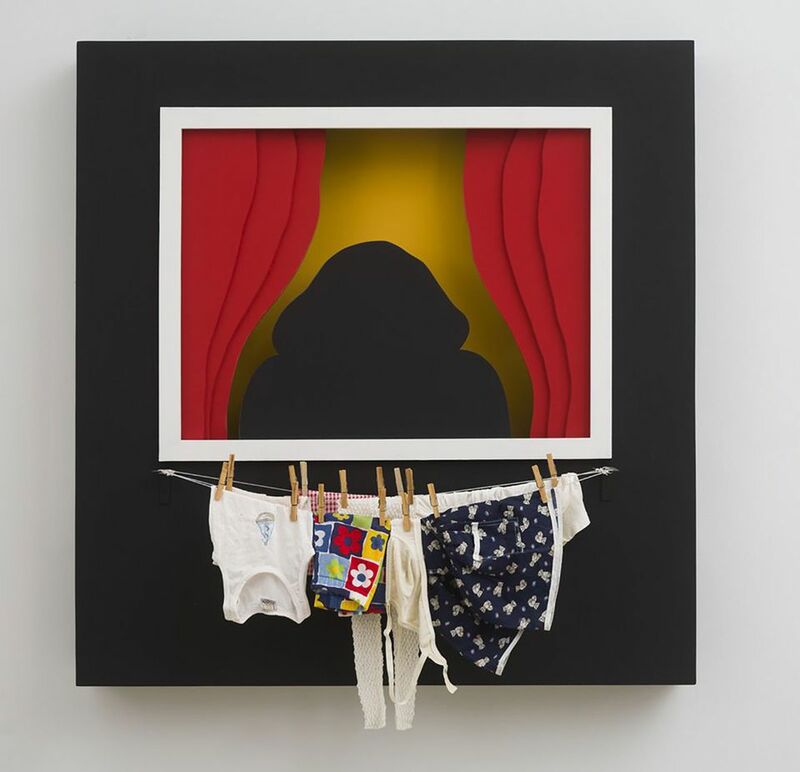 The diorama-like assemblage depicts the silhouette of a figure, presumably Maiolino, looking out a window as clothes dry on a line. Other works deal with the difficulty of communication and the obscurity of language, such as a print titled Anna where two figures are depicted speaking the artist's name, but with no apparent goal or resolution. At the same time, Maiolino undertook absurd projects, like Solitaire or Patience (1967/2000), wherein she played a game of solitaire with two cards removed from the deck, making it impossible to win the game. Her later sculptures made of clay and cement also speak to her interest in process. In these works, where Maiolino repeats forms, she presses the point that there is no such thing as a perfect copy. In each instance where one would expect to find sameness, there is difference in repetition. Maiolino's work is a kind of late Dada—a meditation on the impossibility of transparent meaning in the Modern world. Although she had some political interests (at least one work deals with the 20-year military dictatorship in Brazil) her best sculptures and works revel not in politics, but in senselessness. The story of the early Modern period, which began in earnest with Christopher Columbus's 1492 voyage to the New World, is a story of conflict and integration, which the Huntington traces beautifully in the exhibition Visual Voyages: Images of Latin American Nature from Columbus to Darwin (until 8 January 2018). The show includes more than 150 works—paintings, prints, manuscripts and drawings, many on view in the US for the first time—that highlight how indigenous peoples and Europeans pictured the natural world of the Americas, and what their varying imaginations revealed about their politics and cultures. "A lot of the cutting-edge botanical research at the time was about transplanting plants from the Americas to Europe," says the show's co-curator, Daniela Bleichmar, who organised it with the museum’s chief curator, Catherine Hess. But knowledge was also generated locally, she says. 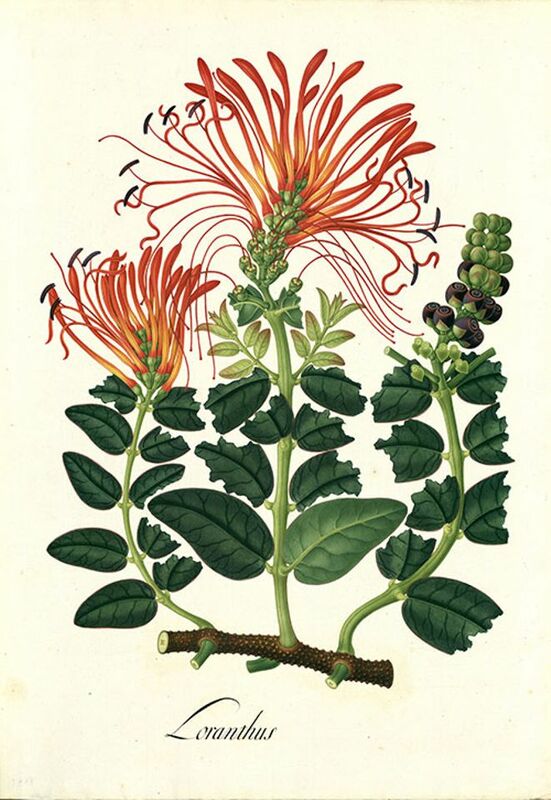 Some of the most telling objects in the show are a series of colourful botanical depictions made in present-day Bogota that were commissioned by José Celestino Mutis, who inaugurated a Spanish expedition in 1783. The remarkably detailed works were made largely by indigenous American artisans, who not only had a rich understanding of these specimens, but who were also able to translate their knowledge into forms recognisable to Europeans. The Europeans brought their own sensibilities. When missionaries first encountered Passion Flowers, they saw in them "a visual sign of the pre-configuration of Christianity," Bleichmar says. "But for both Europeans and indigenous people, the spiritual was everywhere. The idea of secular separation would not have made sense to either."